If you are suffering from spider and varicose vein conditions, then you fully understand the frustration of dealing with itching, swelling, burning, fatigue, and leg cramps. A compression sock has been medically known to reduce the signs of painful varicose veins. Furthermore, they also help in slowing down the progression of vein diseases. NOTE: Compression socks alone does not correct or solve the main cause of the vein problem. Compression footwear technology has been changing for the last decade. Today, these products help users by preventing or limiting foot or leg swelling; especially to those people who spend the whole day standing. This is why this product is popular with nurses and waitresses. Compression socks help boost the blood flow back to the heart overcoming the effects of gravity. Medically graded compression socks have been designed stronger at the feet and it gradually decreases in pressure as it extends to the thigh. This means that a correctly designed and trim compression sock prevents blood clot, blood pooling and other leg symptoms. If you sit down for long periods of time, either when travelling or when sitting at your desk at work, there is a risk of your blood pooling in your legs if you have bad circulation. When you wear your compression socks while sitting, a gentle pressure will be applied to your legs with allows your blood to flow back to your heart. This stops blood from pooling in your feet or ankles, and it also lowers the risk of having blot clots. With new designs and technology for compression socks, even people with no symptoms of varicose or spider veins are starting to wear them day-to-day. Compression socks now come in various colours and styles including open/closed toe styles, sheer fabric, thigh high, knee high, and different flesh tones, meaning you can wear them to fit your own style! Athletes are also using compression socks to promote better circulation and to have better stamina while they perform their sport. If you are looking to get a pair of compression socks, stop by MacDonald’s Prescriptions #3 in Vancouver to get fitted today! Whether you are in the market to help promote better blood circulation to stop varicose and spider veins, or you just want a stylish pair of compression socks to wear out on the town or while you are working out, our professional team will be happy to find the best option that will fit your needs. If you are looking for compression socks for medical needs, we can prescribe a pair based on the degree of compression that you need. The most common types of compression socks will range from 15-20, 20-30, and 30-40 mmHg. Our certified and trained compression stocking fitter will measure your legs and find the best sock that will work right for you. 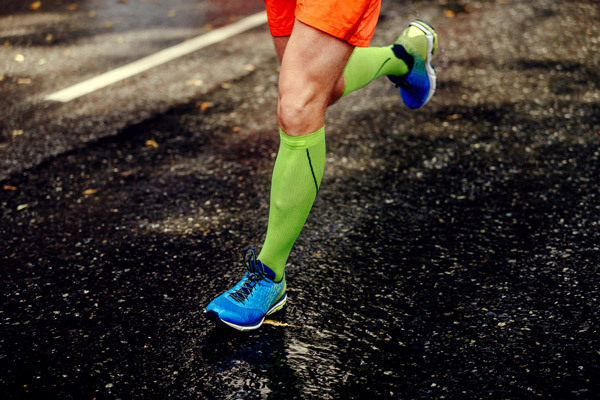 We carry high quality compression socks and garments and they are available in a wide range of colours, shapes, and sizes that will fit both males and females of all ages. Call us at 604-738-0733 or email pharmacy@macrx3.com to book your compression sock appointment today!